They haven’t found alien life out there yet, but following the first successful in-space DNA sequencing, astronauts have a better way to look for it. This first test was mostly just to see that DNA sequencing works in space the same way as it does here on Earth. Although future tests will include new samples of unknown origin, for the initial test, astronaut Kate Rubins used previously prepared mouse, bacteria, and virus DNA samples, whose sequences were already known. 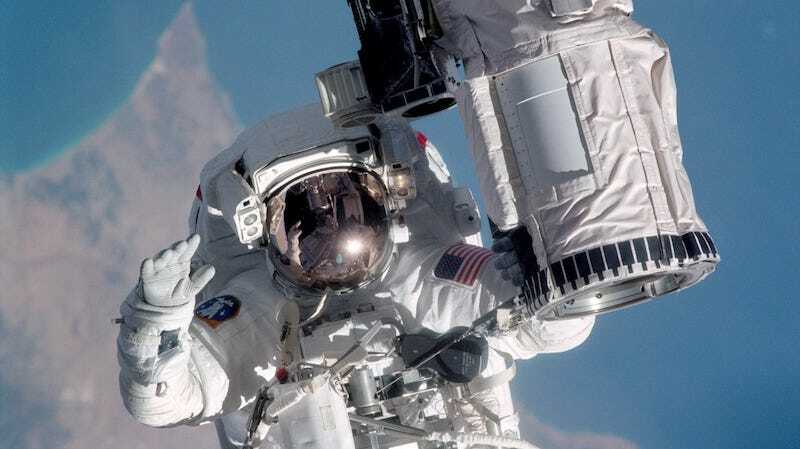 While Rubins did the test on the space station, NASA researchers were sequencing the same set of samples on the ground. Initial results appear to be identical both on Earth and in space—and that means that, for the first time ever, we have a working DNA sequencer in space. When I talked to the scientists behind the sequencer, called the minION, this summer, they noted that they already had a host of planned uses for it on the ISS alone. The researchers planned to perform real-time checks on how well the air and water filtration systems are working. Recently, a mysterious fungus has been sprouting on the space station walls, and astronauts haven’t had any way of figuring out just what it is or where it came from. With the sequencer onboard, astronauts could now run a swab of the fungus. Down the line, the sequencer could be used to search for life on the surface of other worlds—whether on Mars or an asteroid.